Which would you rather have in your camera bag: the Nikon D3100 or the Nikon D3300? They are two perennially popular entries in Nikon’s entry-level D3000 line. The D3100 and D3300 share a lot of identical hardware. They also have many of the same basic functionalities. On paper, these two cameras look virtually identical. It’s often difficult to decide between two cameras that are so similar. That is why we’ve put together this detailed and extensive comparison list. Read on to learn more about the unique aspects of these cameras, examine their common strengths and weaknesses, and hear our final verdict. The Nikon D3100 has a 14.2-megapixel sensor. It delivers decent shots. However, the D3300’s 24.2 megapixels easily outshine it. The D3100’s 14.2-megapixel sensor was state-of-the-art when they released it, but is now quite out of date. Although the D3100 still reproduces clear details and bold colors, you will definitely notice the D3300’s vast improvement in image quality. The D3300 also discarded its Optical Low Pass Filter, which makes for sleeker lines, smoother light gradations, and more vivid colors. While the omission of the low pass filter technically makes your images susceptible to moiré and other common lens distortions, the only difference you’re likely to notice is the vastly improved image quality. The D3300 also does away with its Anti-Aliasing Filter, which boosts sharpness and clarity in otherwise lackluster images. In this particular respect, as in many others, the Nikon D3300 is clearly superior. 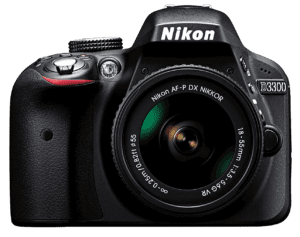 Since it was released a few years earlier than its competitor, the Nikon D3100 utilizes an outdated EXPEED 2 processor. The D3300 runs on a significantly sharper EXPEED 4 processor that’s light-years ahead of its predecessors in terms of speed and flexibility. As always, processor quality has a tremendous impact on a camera’s noise reduction capabilities and low-light performance. The Nikon D3100 shows its age with a maximum ISO of just 3,200. This number extends to a paltry ISO 12,800 if necessary, but prepare for a sharp nosedive in image quality. This processor will capably handle dawn and dusk shoots, but won’t be able to salvage much detail when used indoors or after dark. The Nikon D3300 has a native range of ISO 100 to 12,800, which can expand to ISO 25,600 when you encounter low light situations. This is not only excellent in comparison to the D3100, but also an impressive range for any entry-level DSLR camera in a similar price range. With the D3300 on your hip, you’ll be prepared to capture the moment no matter where you go or when you shoot. When you’re trying to snap fast-paced shots of sports games and family events, a rapid frame rate is indispensable. The D3100 can fire its shutter at a respectable 3 frames per second, but the D3300 manages 5 frames per second. That tiny improvement doesn’t sound like much, but it can make all the difference in a tricky shooting situation. Both cameras offer identical 1080p recording, but that’s where the similarities end. The D3100 can only manage to record 24 frames per second, which will limit your flexibility and make it virtually impossible to experiment with different videography styles. The D3300 thankfully rolled out wider video recording capabilities, adding 25, 30, 50, and 60fps settings to its arsenal. A wider array of frame rates makes it easier to give your DSLR YouTube videos a professional, cinematic flair. Even if you don’t plan to explore DSLR filmmaking beyond the occasional vacation video, having more options is never a bad thing. Although Nikon’s kit lenses are usually exceptional—even on entry-level cameras like the D3000 series—they’ve often been bulky and inelegant. Nikon lenses can weigh down even the slimmest cameras. Thankfully, newer Nikon models have done away with these clunky designs in favor of a more sensible and streamlined design. While the Nikon D3300 introduced a throng of technical improvements, perhaps its most significant step forward was ushering in a new standard kit lens. Its revitalized 18-55mm f/3.5-5.6G VR lens retracts to a slim yet functional 66mm. It’s low-profile enough to slip easily into your camera travel bag, and lightweight enough to carry around your neck all day. The Nikon D3100 still ships with the old 18-55mm lens, which weighs in at a heftier 265g and stretches 13mm longer when you retract it. It’s a solid, dependable zoom lens that handles a wide variety of shooting situations with aplomb. Once you’ve shot with a leaner system, however, it’s hard to go back to the clunky older one. Neither combination is quite as streamlined as the newest models, but the D3300 is significantly easier to heft and hold. In the end, the included kit lens is one of the most notable improvements Nikon made when revamping their most popular entry-level camera (and you can always upgrade to a D3300 compatible lens in the future). Somewhat surprisingly, Nikon chose to implement the same middle-of-the-ground autofocus system across both cameras. The Multi-CAM 1000 11-point autofocus sensor contains a single cross-type autofocus point at its center. It will do a decent job locking onto your subjects and stabilizing your shots. Although you’re certain to find more advanced autofocus systems in newer Nikon cameras, these two cameras will certainly do the job. Both cameras boast the exact same 3-inch LCD screen, which has remained the standard for most DSLR cameras. Neither screen is fully articulated, however, since Nikon prefers to reserve that advanced level of flexibility for its pricier models. The two screens might be the same size, but they differ vastly in crispness and clarity. The Nikon D3100’s screen has 230,000 dots, which is quite a low resolution when you’re accustomed to 4K photo editing monitors and crystal-clear displays. The D3300 bring subjects into sharper focus and gives a brighter, clearer view of the frame. In the end, the choice between these two cameras should be obvious. 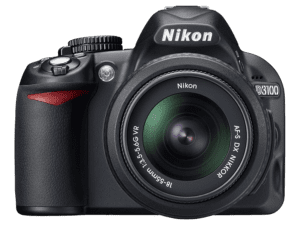 The Nikon D3300 is leaps and bounds ahead of its predecessor in nearly every category, from its sharp optics and swift autofocus speed, to its handy external mic port, to its compact kit lens and flexible video recording capabilities. Plus, the cost difference between the two cameras simply isn’t wide enough to justify choosing the older model. The Nikon D3300 isn’t just the winner of this contest; it’s also one of the most evenly balanced beginner-to-enthusiast level cameras on the market right now. While shooting indoors with Nikon d3100 and d3300 under same lens and light conditions it has been observed if d3100 clicks same pic at ISO 1600, d3300 clicks at ISO 2400 – all other parameters same. This shows better performance of d3100 sensor. This factor never discussed in any website or forum.